Another book review for you all! 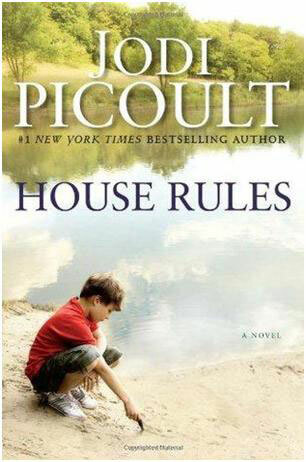 I actually LOVE Jodi Picoult books and I’ve read almost every book she’s written. Most of her novels are mysteries and usually involve a lawyer or officer of the law, which I liked since I went to law school! Anyway, here’s the review! When your son can’t look you in the eye … does that mean he’s guilty? Jacob Hunt is a teen with Asperger’s syndrome. He’s hopeless at reading social cues or expressing himself well to others, though he is brilliant in many ways. But he has a special focus on one subject – forensic analysis. A police scanner in his room clues him in to crime scenes,and he’s always showing up and telling the cops what to do. And he’s usually right. I’ve never really known anyone well with autism or Asperger’s, but I’ve always found the disorder so interesting, probably because my brother growing up had a learning disability that made life a lot more difficult. I think a big part as well is that I am so curious about what goes on in people’s brains who have autism. What is their world like? How is life from their point of view? Moving on … I really enjoyed this story. It has the typical mystery to it: a murder, but in this case the police start looking at this child to try and understand what he does and doesn’t know and what he did or didn’t do. It also touches on the idea of being “normal,” of wanting to just fit in even when you’re made to stand out. The only thing I didn’t love was how the book seemed to be interrupted by the author educating us on the autism disorder spectrum. Although I find the subject very interesting, it broke up the flow of the book a little bit. Despite these interruptions, the story really kept me hooked and I love the author’s writing style, so I would recommend it for an interesting read!